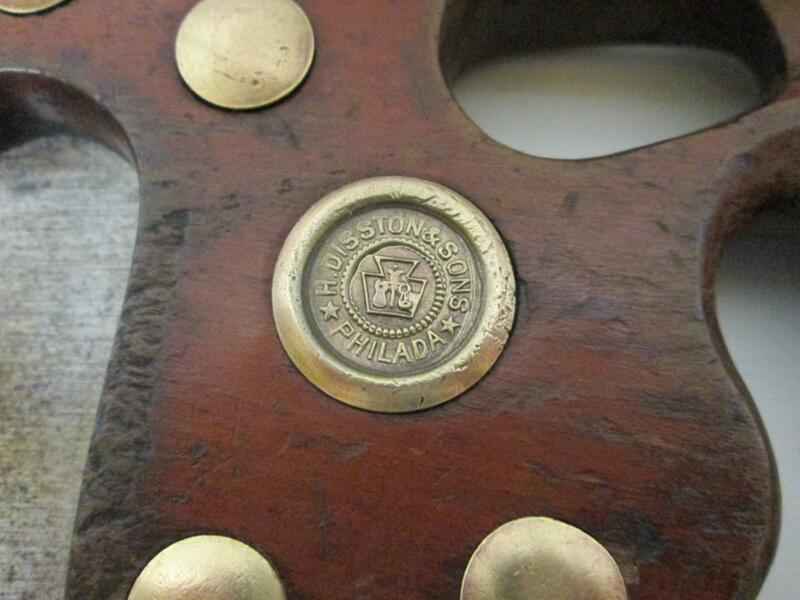 This is a nice clean 5 1/2 teeth points per inch, 26" long skew back rip-saw marked with the "H. DISSTON PHILADA" logo on the handle medallion, there is very little etching on the blade visiable. 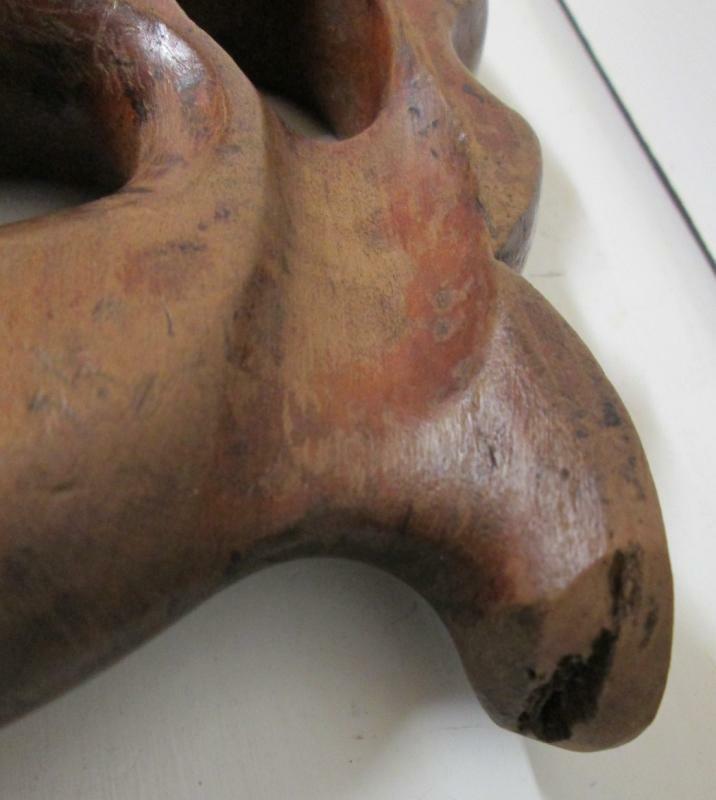 The fruit wood handle is clean, a dark brown patina, with some wear on it, one chipped off area on the end of the upper ear, otherwise some small nicks and dings, minor staining, very solid with a nice clean finish. 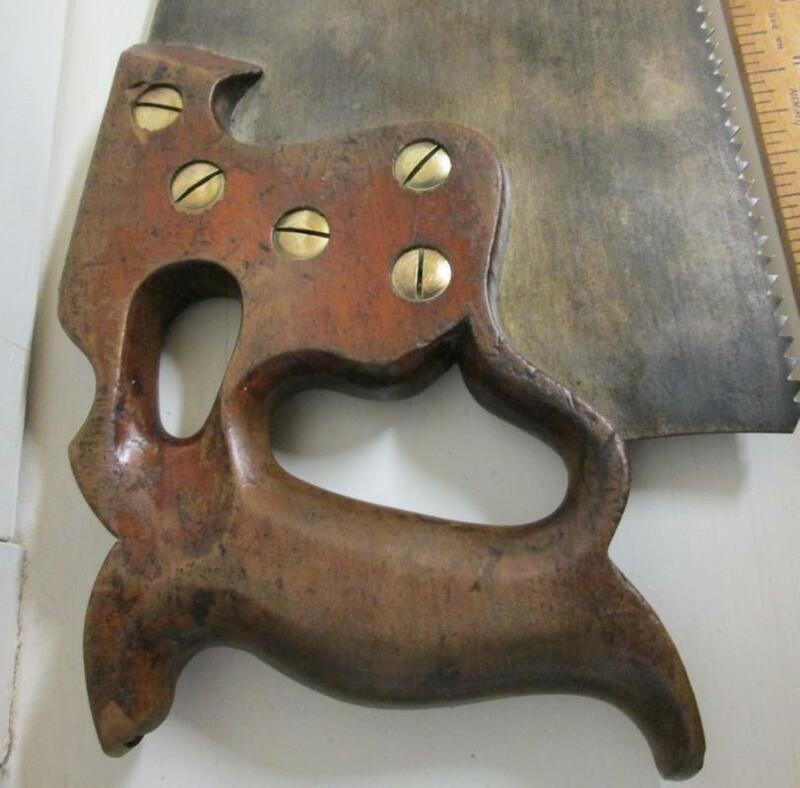 The saw came from a shop with 3 generations of carpenters tool present. Although it is sharp and ready to use, it was displayed for a number of years instead. The 26" long blade is straight and clean. 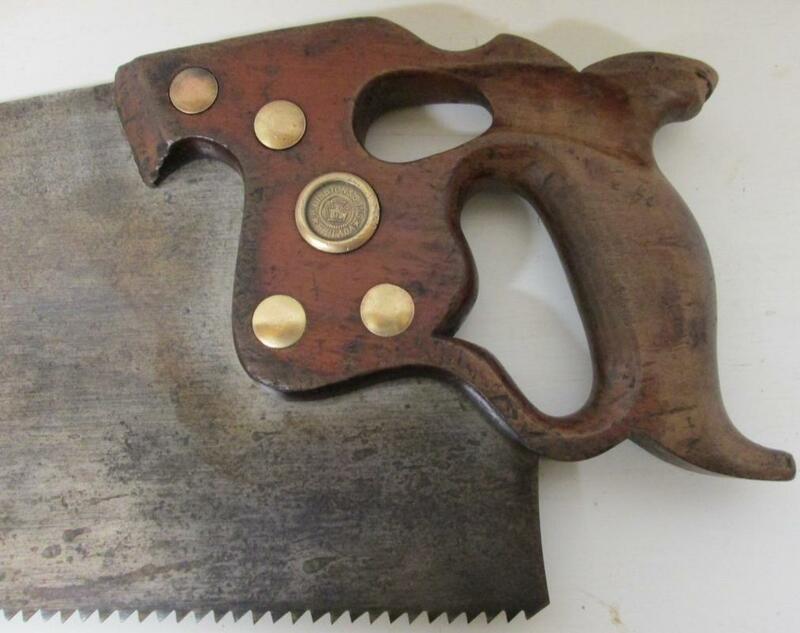 This is one of several saws that I have, of which are straight, sharpened and ready to cut, this one included, very sharp, very large teeth. The blade is clean on both side, some staining, very minor on about 50% of the bare metal surface area, fairly evenly distributed. Very little pitting noted, smooth and clean not rusty. 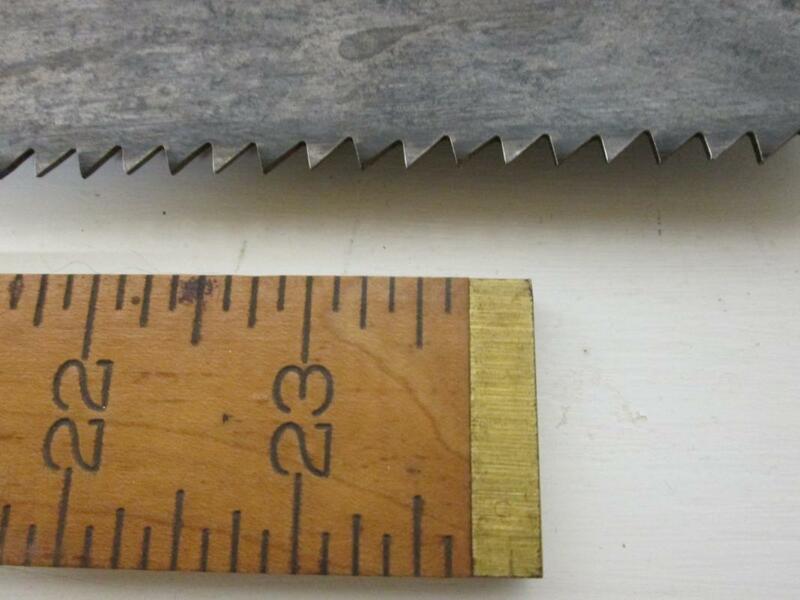 A very clean rip-saw overall, in both appearance and functionality!